Thu - Sun, 10:30 p.m. - 4:30 a.m.
On April 28th, 2016, Las Vegas welcomed a new nightlife concept to the Strip. 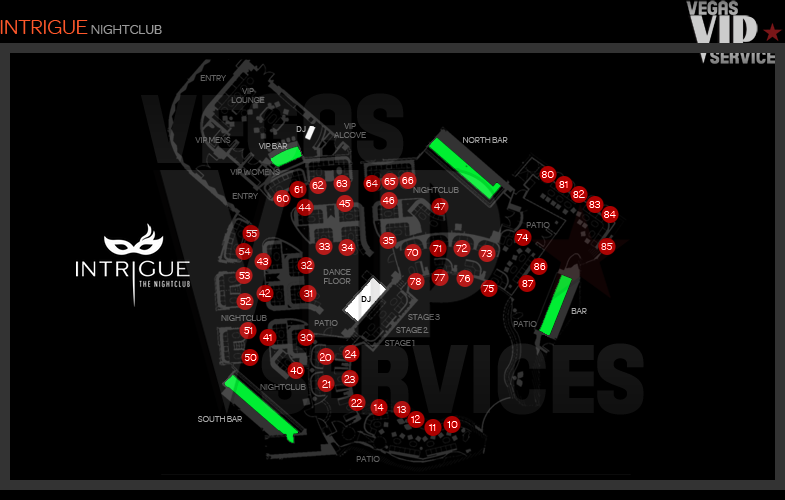 Intrigue is a world-class nightclub offering the best in lavish amenities and luxurious services. It took the place of Tryst Nightclub, which remained a Vegas hot spot for more than 10 years prior. 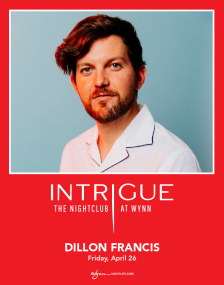 This new nightlife destination can be found at the famous Wynn Hotel, joining the likes of XS, Encore Beach Club, and Surrender. The 14,000 square foot club offers what others don’t – maximum privacy and exclusivity. Inside the massive club is a second private club which provides VIP guests with a social media free zone. Intrigue is decked out with state-of-the-art sound and lighting, designed by no other than industry professionals John Lyons Systems. The nightclub is able to accommodate up to 1,200 patrons and typically plays contemporary party music over various genres. The end result? A high-energy dance atmosphere. The venue also has a new glass enclosed patio that provides party-goers with year-round views of Intrigue’s amazing waterfall and must-see pyrotechnics show. In addition, the club is home to a 1,200 square foot social media free zone that allows guests to socialize in complete privacy. 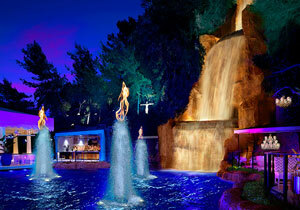 The venue opened on Wynn’s 11th anniversary in the space that formally housed the popular Tryst nightclub. It is now open from 10:30 PM to 4:00 AM from Friday to Monday. The cover charge is $25 for women and $45 for men. To enter the club, you must descend from a staircase and enter a white walled hallway that has images, photos and company logos projected on them. The hallway then opens up into the main room of the club, which is adorned with gorgeous chandeliers and an oversized illuminated light fixture that hangs over the dance floor. The booths are tiered to allow for optimal views of the DJ and dance floor. The booths offer storage drawers underneath to hold purses, as well as phone chargers for every type of phone. There is also two bars found on each side of the room. The main room of Intrigue offers incredible views of the outdoor patio. The patio is decorated with swanky chandeliers that hang from the trees, as well as a 94 foot tall cascading waterfall that flows into a small pound of water. The patio also holds more booths for party-goers to relax, as well as another bar. Outdoors, guests can enjoy a pyrotechnics show that is sure to impress. While the masses stay in the main room to party, a few select VIPs may get the opportunity to hangout in the VIP club. This invite-only room is like a club within a club and offers lavish décor, its own bar and restrooms, and a private entrance from the Lakeside restaurant. There are also keyed lockers to hold your valuables and a one-way window. In addition to bottle service, Intrigue offers a wide selection of beverages at the bars. Cocktails are one of the most popular drinks, and the nightclub does not disappoint. Try the Platinum Donkey, a twist on the mule cocktail made with Stoli and homemade ginger syrup and topped with Fever Tree sparkling water. Another popular option is the Up All Night, an espresso martini served in a crystal fountain. This beverage is meant for sharing and features Licor42, Cruzan Single Barrel, Disaronno, and nitrogen charged espresso. If you do opt for the bottle service and a booth, you’ll get the choice of creative delivery options, such as a masquerade parade or “angels”. What sets Intrigue apart from its competition is its focus on luxurious and top-quality features and amenities. For an unforgettable evening of fun, look no further than Intrigue. 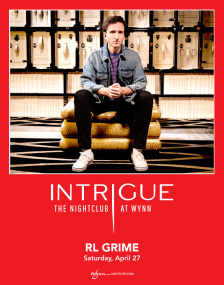 Contact Vegas VIP Services to reserve your Bottle Service at Intrigue Las Vegas.